Hi ! my name is Priyamrita Chatterjee and I am raising funds for my childhood friend Susmita Mazumder Bhuyan. She is fighting with cancer and is currently under treatment at Christian Medical College Vellore. She has lost her husband three years back. 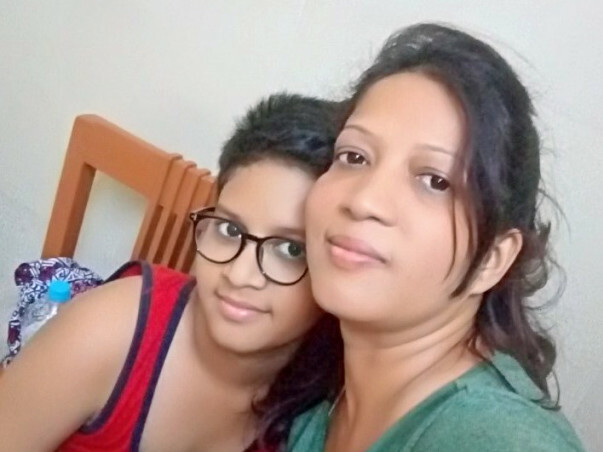 By working in a private school she was earning for she and her 11 years old son. But presently she is jobless due to health condition. which has made it difficult for her to arrange funds for her huge treatment cost . She has no other way than to survive for her fatherless son but without fund it impossible to complete the treatment . 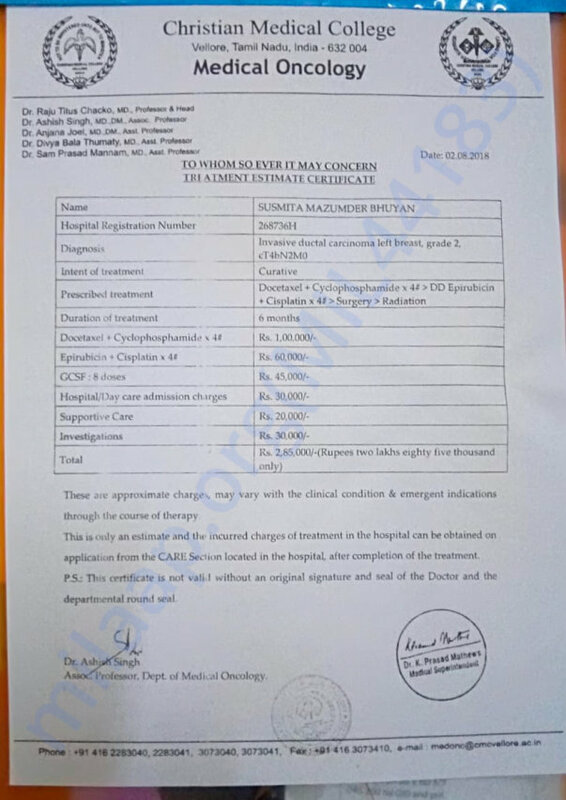 Her treatment cost is approximately 5 lac ( Please Note: The estimate uploaded here is devoid of Surgery and Radiation cost as CMC will give separate estimate for those) . Seeing her condition I am trying to help her. Your little contribution can help her to fight the deadly disease and survive for her little child.